If you’re reading this, you are probably having water heater issues. Not many people even think about their water heater until they have a problem of some sort. It’s one of those things that people take for granted. However, if it’s time to fix or replace your water heater, here are some things that may help. What Kind of Water Heater do you Have? There are basically 2 different types of water heating systems. Those that use storage tanks, and those that don’t. The two most common ways to heat the water are, electrical current or a combustible fuel. Electricity can come from a multitude of sources, and combustible fuel can be anything from natural gas to wood. Storage tank water heaters are what most folks grew up with. Electricity or some type of fuel heats an insulated container that keeps water hot and ready to use. The temperature of the water stays the same all of the time. Even if it’s not used, the heater will periodically come on to keep the water hot. Tank-less heaters have not been around for long, but they are gaining popularity rapidly. This type of heater warms a coil that the water flows through as it’s being used. By not keeping the stored water hot all of the time, there is significant energy savings. With storage tank heaters, deposits can build inside the tank. Over time, it can cause serious damage. If this is the case, you probably need a new heater. Plumbing is usually pretty basic, but you will still want to have a professional look at it. If maintained properly, it can last for decades. They have few parts, and a very simple design. Tank-less heaters actually use more energy when they operate. The coil that the water flows through, turns cold water to hot very quickly. It also maintains that temperature for as long as you want/need. If you have problems with this type, you will definitely need to seek professional help. The system is complex, with many technical parts. To decide on the right system for you, determine how much hot water you use, and how often you use it. Talk to one of the guys down at the appliance store. Most of them will give you a straight answer. But remember, they work on commission. 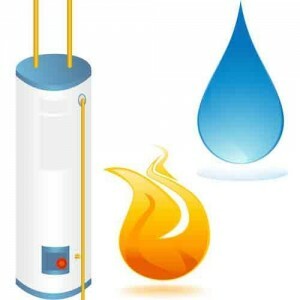 Not sure what water heater works for your Annapolis, MD home? Call Heidler Plumbing at (410) 268-7191, and get the best advice.